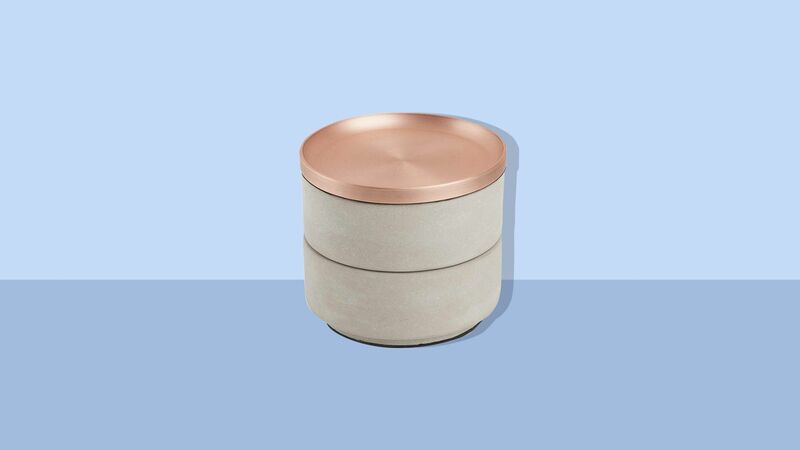 Sometimes it’s the little things in life, like an tidy silverware drawer or series of matching bins, that can make all the difference in managing stress and turning your home into a sanctuary. 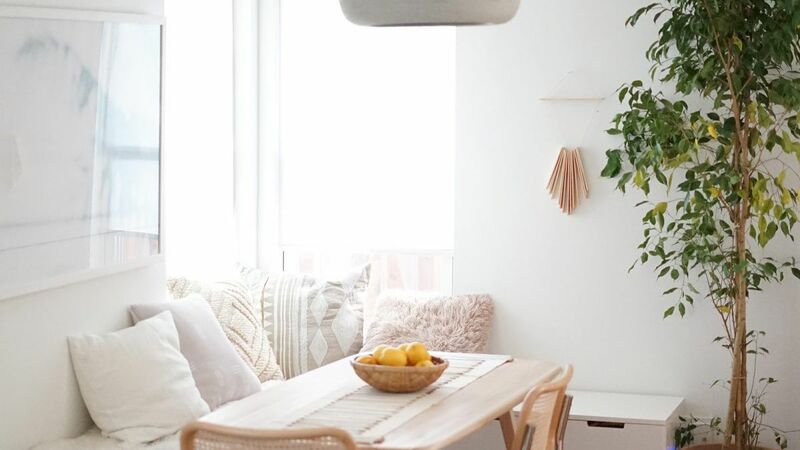 If you’re one of those people who can’t stand clutter or you’re just trying to be a little neater, these organization systems and items are sure to spark so much joy. 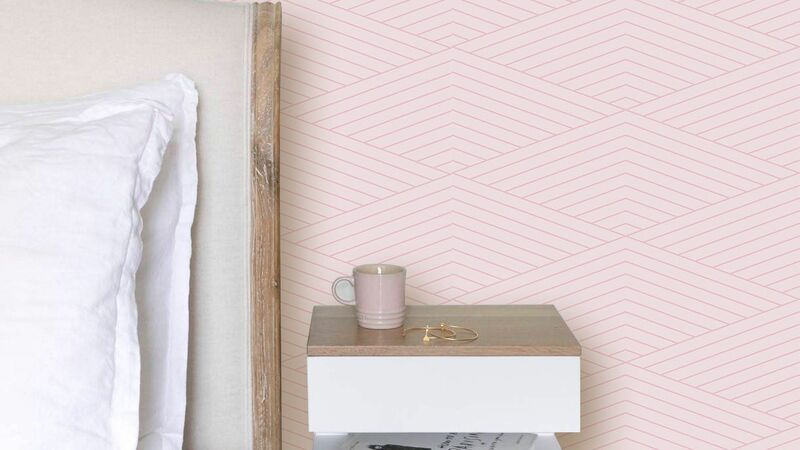 Take a cue from the thousands of Amazon shoppers who gave these best-selling organization products and tools four- and five-star reviews, and use them to transform messy areas into hyper organized, Instagram-worthy spaces. With something for every area, including your closet, home office, pantry, kitchen, and bathroom, you’re bound to find exactly what your home needs. Save thousands of dollars by installing your own custom closet organization system with this boxed set. With adjustable shelves and rods, and just a bit of creativity, you’ll find endless ways to configure this best-selling set in a way that works best for your space and items. To buy: $115 (was $220), amazon.com. 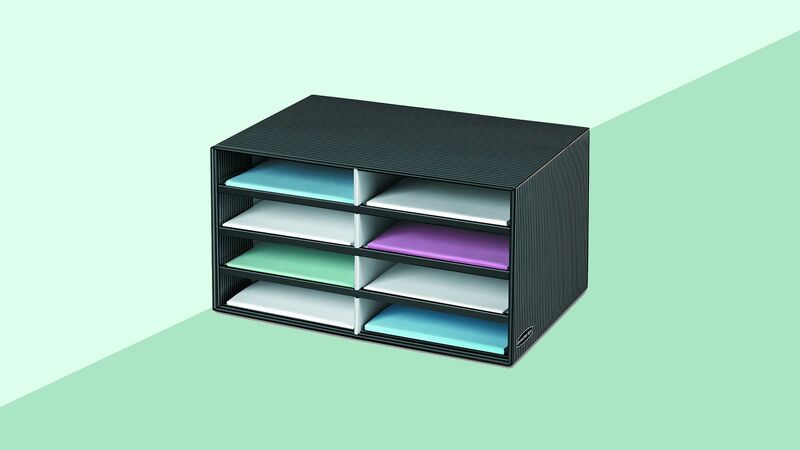 With sections for bras, socks, underwear, scarves, and ties, everything currently making a mess in your drawer will now have a tidy home to call its own. Buy a few more and you can tackle your t-shirts, shorts, activewear, sports bras, and even more. The sports enthusiast in your home will benefit the most from these strips, which neatly display baseball caps and visors. Each pack comes with two racks designed to store nine caps each, but if you need more storage, you can always double up and feature up to four strips on the back of your door. Coming in at under $10, this shoe organizer is an affordable update to every closet in your home. 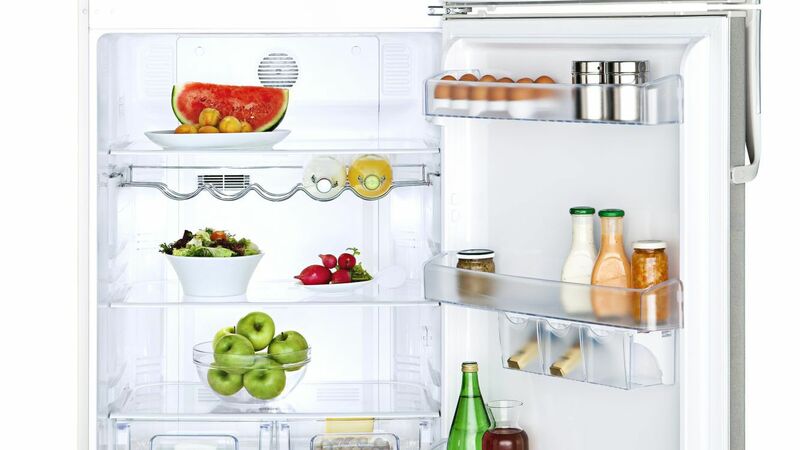 Use it to house shoes in your closet, cooking supplies in your pantry, toiletries and beauty items in your bathroom, and more. Bonus: Since it’s clear, it’s always easy to spot exactly what you need so you can grab it fast. 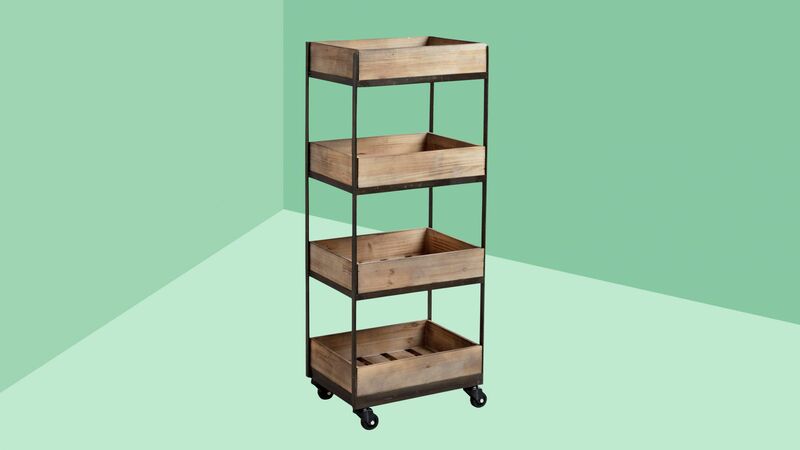 Station this rolling cart in your office, kids playroom, craft room, or kitchen to keep your most-used items close by. Set one up near a kitchen table and use it to store paper, pencils, and other homework must-haves, so you kids can pull it out after school and then tuck it away when it’s time to eat dinner. You can also snag yourself one in elegant white, one with fun rainbow drawers, or another in a single stack that’s ideal for small spaces. To buy: $85 (was $90), amazon.com. Just like the lazy susan in your kitchen, you’re going to love the easy access this spinning makeup organizer provides. Place all of your essentials in it on your bathroom counter or keep it in your closet to make it easy to get ready every morning a little bit easier. Keep all of your pants (or scarves, sweaters, and leggings) organized and stored together with these S-shaped hangers. Since each one can hold five pairs, it’s an easy way to free up some room in your closet, too. While you may not be able to build yourself a bigger closet, you can create even more space for your stuff with these helpful hangers. One set comes with enough pieces to hang 50 garments, freeing up tons of space for the rest of your items. To buy: $10 (was $15), amazon.com. Replace your bulky hangers hangers with these slim velvet hangers in one swoop with this insanely affordable deal. 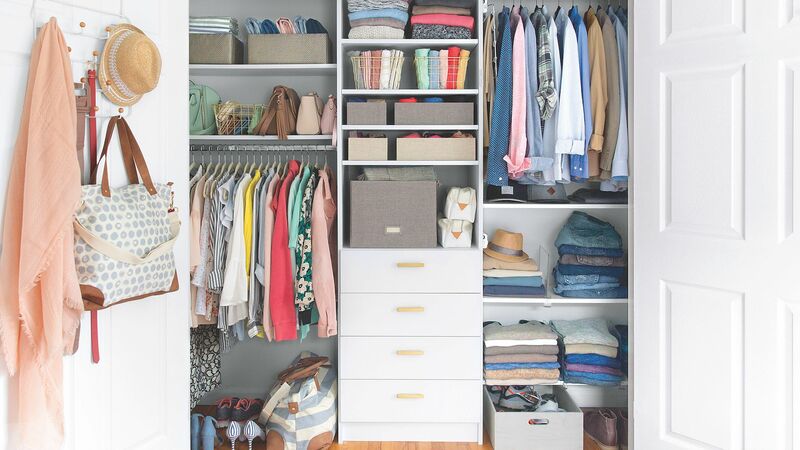 Not only will they save you space, they’ll make your closet look sleeker and chicer, too. Use this set of clear drawers to neatly organize and display your gorgeous collection of makeup by product category. With lipsticks, eyeshadows, brushes, and other cosmetics grouped together, it will be easy to reach for your go-to products fast or experiment with what you have to create a fun new look every morning. While organizing your home may seem daunting, you can always start with a simple project like tackling your silverware drawer. Install this BPA-free tray to straighten up your collection of utensils, and you’ll feel accomplished in no time. To buy: $8 (was $10), amazon.com. Your shoes deserve more than a toss into the bottom of your closet. Give them a special home with this three-tier storage system, which is nice enough to display near your entryway with your favorite pairs. To buy: $30 (was $32), amazon.com. While your dresser is great for socks, undies, and pajamas, there are some items—like jeans and sweaters—that you may prefer to fold, but want to keep in sight. Install this hanging organizer, which also comes in elegant gray, to neatly store those go-to pieces. You can also use its side pockets to hold odds and ends like scarves, sunglasses, and more. And since it comes pre-assembled, getting it set up will only take a minute. 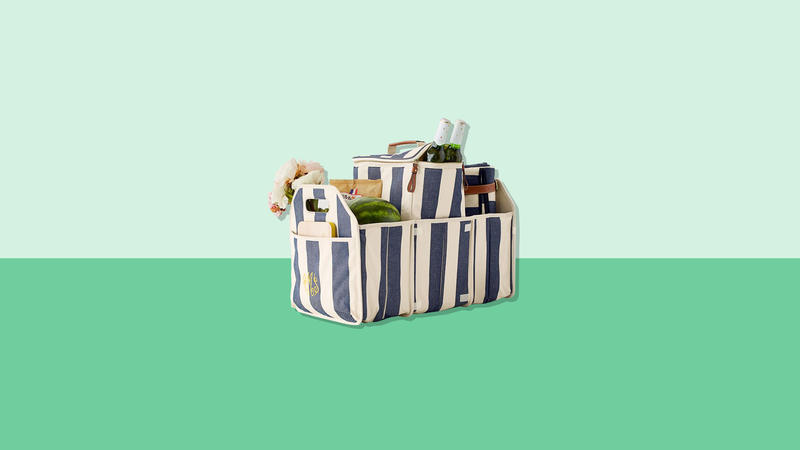 Everyday items like cotton balls, fruit, and even dog treats look so chic when stored in these beauties. Buy a set for your bathroom, kitchen, and pantry, and you can make those spaces look a little more polished in mere seconds. Give your polish collection a proper home with this see-through holder, which comes with adjustable dividers for 48 extra-large bottles. 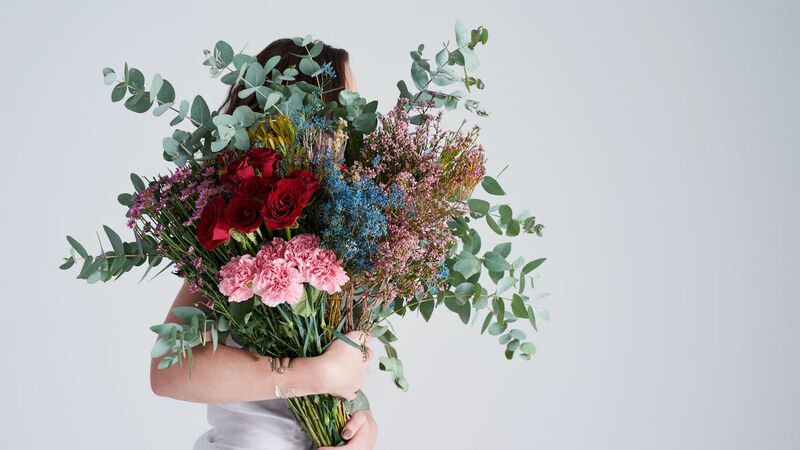 We recommend arranging your assortment by color to spark extra joy! Amazon shoppers love these affordable storage cubes, which come in 10 colors from elegant beige, black, and gray to fun pink, blue, and purple. Add a couple of the brightly-colored containers to your playroom, and your kids will know exactly where their toys are supposed to go. 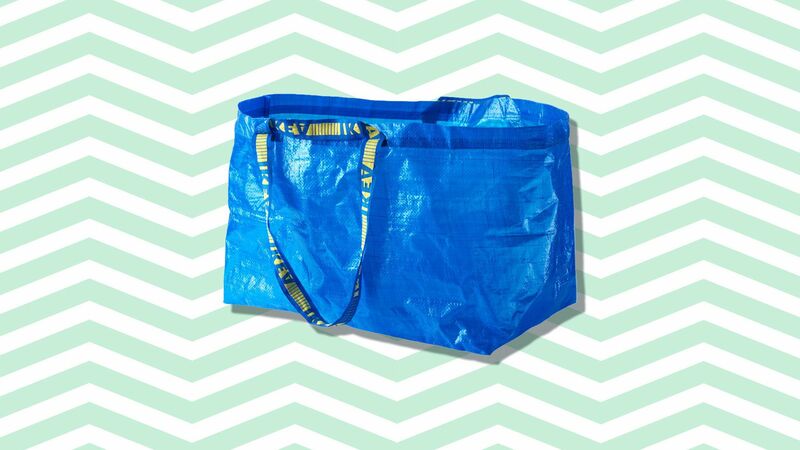 While those other space-saving bags sure are handy, sometimes you don’t want to fuss with a vacuum or pump—especially if you’re going to use the items again soon. For pieces you reach for often, store them in these no-vacuum, compression bags, which shrink down when you roll them up. They’re great for saving space in suitcases, too. To buy: $17 ($24), amazon.com. Make it simple to tuck away your wrapping paper assortment with this affordable organizer. Keep seasonal or Christmas rolls in the center and store generic options on the outside, so you can quickly grab the right roll for the occasion when you need it. To buy: $7 (was $10), amazon.com. Hang this by your closet to make it easy to grab your favorite jewels when planning outfits or getting dressed in the morning. With a spot for every kind of accessory, this sturdy wall unit makes it easy to display and find necklaces, bracelets, earrings, and more. And thanks to its built-in shelf, you can also store stud earrings, perfumes, and other essentials you reach for daily. If your collection is too large for the typical jewelry box, this accessories cabinet—with sections for rings, earrings, necklaces, bracelets, sunglasses, and more—is the storage solution for you. Hang this wherever you get ready in the morning to quickly find the right finishing touches for your look. With interior lighting and a mirror featured on its door, it has everything you need to make getting dressed feel a little extra glamorous. To buy: $130 (was $163), amazon.com. Transform congested garages, basements, pantries, and more into functional spaces with a little help from these storage units. These affordable shelves, which take just a few minutes to put together, will keep all of your clutter off the ground and into easy-to-access spots, which you can further organize with bins and containers. While some retailers will charge you this much for a single plastic storage piece, you can get a full set of clear containers for $15 with this impressive deal. 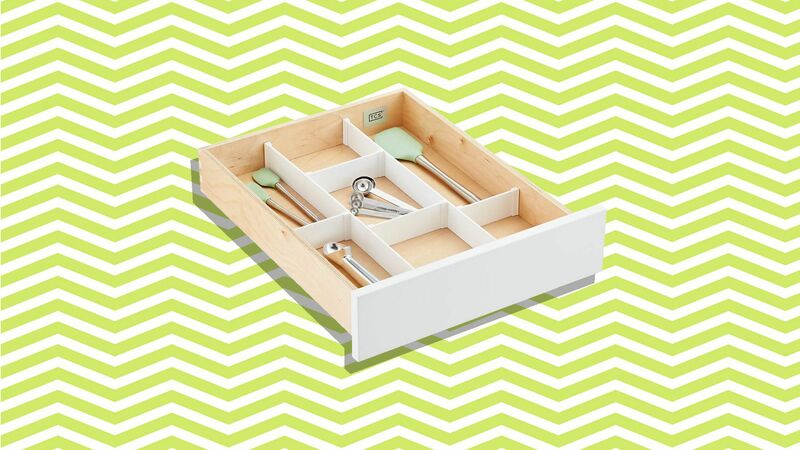 Use these versatile pieces to organize drawers in your kitchen, office, or bathroom, or get creative and use them to sort small items just about anywhere! Create the ultimate caffeine corner in your kitchen by setting up this storage drawer under your Keurig. Leave out a mug or two and you’ll have everything you need to whip up something delicious whenever a craving hits. A cluttered pantry is a surefire way to make cooking and meal prep feel stressful—no matter how much you love to cook! Set yourself up for success in the kitchen with these handy, stackable can organizers that feature adjustable dividers. Arrange a few side-by-side or stack them up, and then modify the dividers to create a custom system that works best for your pantry staples.